Coffee isn't just a beverage of choice, it's a way of life. Sometimes that way of life can come with a few unintended consequences that might even have you wondering why you got into coffee in the first place. Then you remember: because you love it, that's why. We've pulled together 5 moments that you might not be able to admit to yourself, so we're going to go ahead and admit it for you. 1. 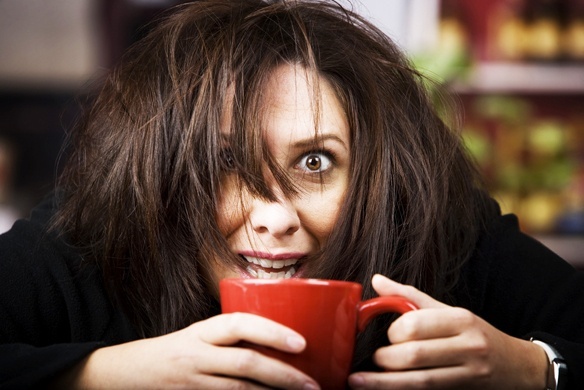 You are overly dramatic about caffeine headaches because you're secretly kind of proud about it. Your friends can keep their cross-fit and photos at the finish line of their latest half-marathon or mud run. You're body goes into withdrawals if you've been without coffee for 12 hours - that kind of physical dependency requires a commitment to regimen that those weekend warriors can only dream about. 2. You secretly relish the times people pronounce it "expresso" so you can correct them. It doesn't happen as much as it once did, but my lord is it satisfying when the opportunity presents itself. 3. You are in no mood before you've had your first cup of coffee. It's not them it's... you're right it's them. 5. You refuse to let a long line come between you and your favorite drink. The way you see it, you have two options: a.) you can go into stealth 1st grader mode and execute a savage cutsies, or b.) maybe just download Joe so you can skip the line every morning. We recommend the latter, but hey - we understand if your line-cutting game is strong. Have your own coffee addict moments? Leave us a comment on Facebook or Instagram!